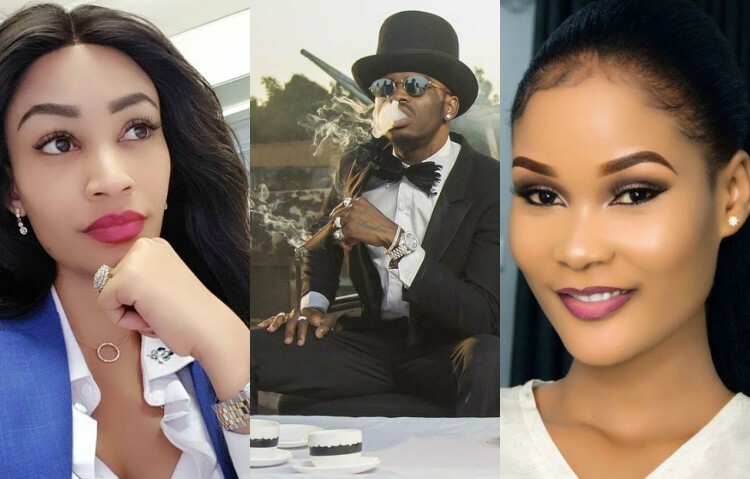 Tanzanian superstar Diamond Platnumz is out here preaching about peace to his baby mamas Zari and Hamisa Mobetto. Despite the fact that the two women don’t see eye to eye, Diamond Platnumz wants them to love each other’s children as their own. He thanked Zari and Hamisa for taking care of his children and his wish was to see them (kids) relate well with each other when they grow up. “I don’t want hatred between my children because at the end of the day we’re a family, they are all my children. I love them all,” he said during an interview with Wasafi TV. The Iyena hit singer also advised his baby mamas not to create enemity between their families. “Let’s not create enmity between the children. My prayer is to see all my children collaborate together when it comes to family matters. I’m grateful for my baby mamas and I pray that they continue with that spirit of taking good care of my children,” he added. Diamond Platnumz and his baby mamas are co-parenting and his family are trying hard to reunite him with his estranged wife Zari Hassan, after they broke up early this year. The artiste’s mother is #Team Zari and has never been for his relationship with socialite Hamisa Mobetto. The singer’s mother only posts pics of Zari’s children and recently, he asked her not to discriminate against Hamisa’s son. “I CAN’T STOP WISHING YOU HAPPY BIRTHDAY MOM… COZ I LOVE YOU SO MUCH, NA NAJUA KIAS GANI PIA UNANIPENDA MWANAO, UNANIPENDA KIAS KWAMBA HATA UNACHUKIA YOYOTE ANAEJARIBU KUFANYA KITU CHA KUNIHARIBIA KATIKA MAISHA YANGU…UTANILINDA NA KUNITETEA HATA KAMA PENGINE MGOMVI NILIKUWA NI MIMI MWANAO, ILA YOU WILL ALWAYS BE ON MY SIDE. KATIKA KUSHEHEREKEA SIKU YAKO HII KUU YA KUZALIWA, NINGEOMBA PIA, KAMA UNIPENDAVYO MWANAO PIA UWAPENDE WAJUKUU ZAKO WOTE, KWANI NI WADOGO NA HAWANA HATIA WALA HAWAJUI CHOCHOTE…NAJUA WAKATI MWINGINE WAZAZI WAO WANAKUKWAZAGA SANA, KUTOKANA NA ISSUE ZETU BINAFSI ZA MIMI NA WAO KUKUINGIZA WEWE AMA KUKULETEA LAWAMA WEWE ILHALI MASKINI YA MUNGU HATA NAPOWATOAGA HUJUI, UNAONAGA TU NA WEWE GHAFLA NIKO NA FLANI…. NA KWA UMRI NILOFIKIA HATA KAMA HUPENDEZWI KIAS GANI, ILA HUWEZI NICHAPA VIBOKO AMA KUNICONTROL KUWA ETI KWANINI NIKO NA FULANI….HIVYO NI KOSA LANGU MIMI BINAFSI ILA WAO WANATAKAGA KUKUPA LAWAMA KAMA WEWE JAJI WA MAHUSIANO YANGU… ILA KWA UPENDO WAKO KWANGU NAOMBA UNISAMEHE MIE KWANI NDIE CHANZO CHA HAYO YOTE… NA UWAPENDE WAJUKUU ZAKO WOTE KWANI NI WATOTO NA HAWAJUI CHOCHOTE…..NA WAKUKWAZAPO WAZAZI WAO WAKUWAHUKUMU WAO HATA WAKITUMIA NGAO YA WATOTO KUKUKWAZA,” HE WROTE IN PART. Adding that the woman he would marry, will also be part of the family and he urged his mother to also accept her.